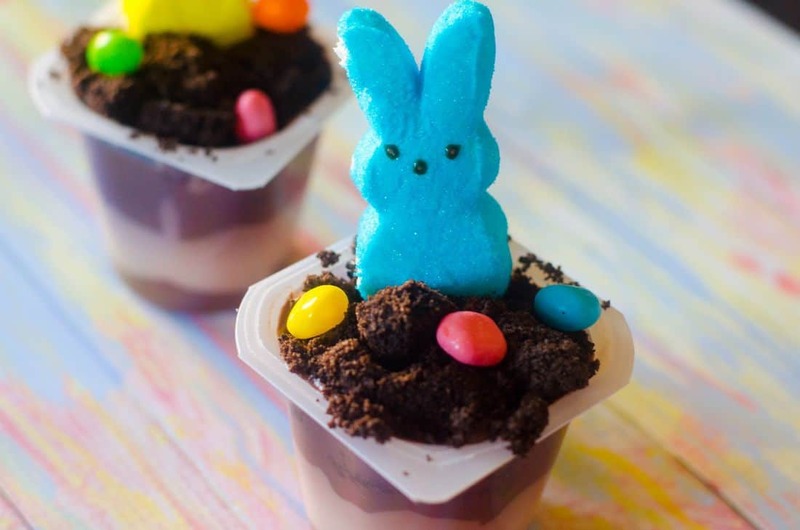 Easter is right around the corner and we have the most adorable treat that your kids, friends, and family will freak out over! 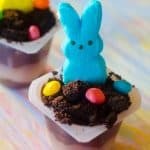 These Peeps Patch Easter Cups can easily be made in advance for potlucks, parties, and even schools (if they allow it). It doesn’t take much ingredients to make these either. 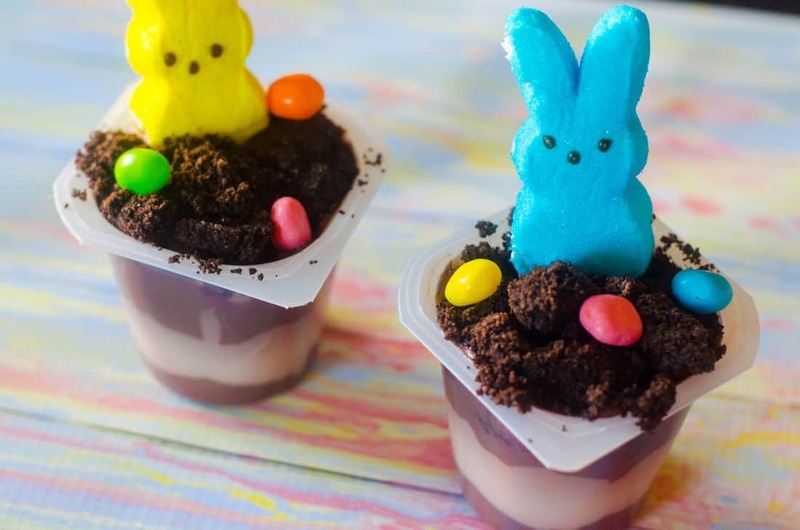 Based with pudding, oreos, peeps, and some jelly beans. Some of these you may already have in the house if you have small kids hanging around. When it comes to the jelly beans I like to use the sweetarts as I think they match well with the sweetness. I prefer to use the chocolate oreo’s as I think they keep the “dirt” really looking like dirt on top of the cup. I keep the peeps around here or there for projects. They also go great in vases for decoration. I seal them with food starch when I make vases. For the bunnies I like to match the jelly beans to them. Yellow bunny goes with the brighter colors where as the blue bunny would have the pastel colors. These are best served cold. I put them in the fridge until I am ready to serve them. 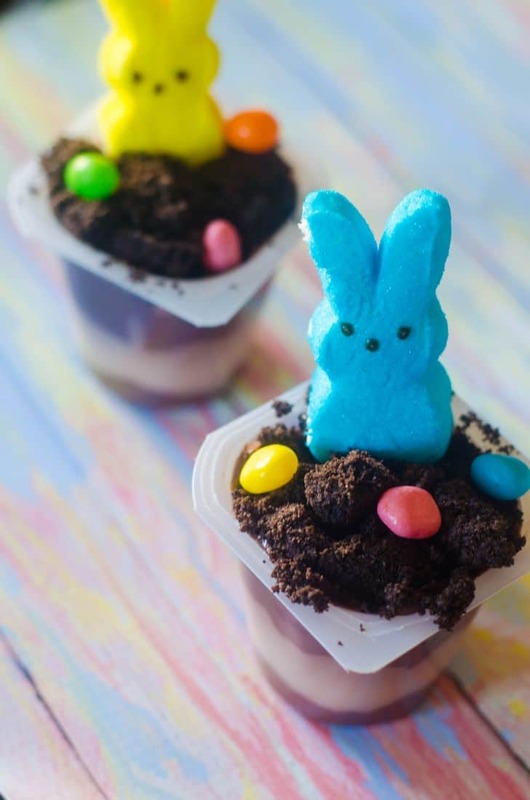 For potlucks and parties these Peeps Patch Easter Cups are placed on large trays and served up with a small spoon. Here is the simple recipe! In a food processor, blend up the oreo cookies. Open up the snack packs and ad about two spoonfuls to the top of each pudding. Place bunny at the back of the cup. Top with a few jelly beans.